Ethiopia appears to be on the road to democracy and economic progress but ethnic divisions could prove to be an obstacle, writes Yigal Chazan. Ethiopia's dynamic new premier Abiy Ahmed is moving ahead with efforts to consolidate his country's reputation as the economic powerhouse of East Africa, yet some of the radical political reforms he has introduced since his ascent last year seem to have inadvertently contributed to a wave of ethnic-based violence that threatens to derail his plans. In a whirlwind series of bold reforms following his appointment in April Abiy, a young, western-educated former army officer, has begun to transform the tightly-controlled, multi-ethnic country which has considerable economic potential but suffers from the competing interests of its diverse population, posing a serious threat to stability. Ethiopia has been one of the world’s fast-growing economies, registering around 10% growth annually for the past ten years, albeit from a very low base." Abiy has removed press restrictions, welcomed back exiled dissidents, released political prisoners, legalised opposition groups, lifted a state of emergency, made peace with arch-enemy Eritrea and promised democratic elections. On the economic front, he has sought to calm a dispute with Egypt over the construction of a major hydro-electric dam and set about addressing a foreign exchange crisis with plans for a privatisation programme - featuring both partial and full sell-offs - and the reform of the underdeveloped mining and oil sectors aimed at drawing in much-needed foreign investment. The privatisations, which will not include the banking and financial services sector, are nonetheless a major departure for a regime that has long subscribed to state-led economic development policies inspired by its principal backer, China. The apparent change in economic and political direction has appealed to donors. In August the World Bank said it would provide Ethiopia with $1bn in direct budgetary assistance, just a couple of months after the UAE pledged $3bn in aid and investment. Ethiopia, Africa's second-most-populous country and a key western ally in the Horn of Africa, has been one of the world's fast-growing economies, registering around 10% growth annually for the past ten years, albeit from a very low base. Though it remains poor, the gains are remarkable for a country with few natural resources. An expanding export-driven light manufacturing sector, improving transport infrastructure and huge power-generation projects, which could in time export energy, have drawn investors. Foreign direct investment between 2008 and 2017 increased fivefold to $4.17bn. But heavy government spending, much of it on infrastructure and energy projects, and weakening exports have fuelled the foreign currency shortages that have left the country struggling to pay for imports and to service Chinese loans. Government debt now stands at nearly 60% of GDP. The IMF says the country is at high risk of debt distress, while FDI has dipped and growth slowed of late. Even China is reportedly scaling back investment. Moreover, the pace of development, although impressive, has not created sufficient employment opportunities for the country's youthful population. Economic grievances have combined with anger at the country's democratic deficit to unleash widespread protests. The premier's liberalising zeal and genuine popularity has quelled much of the anti-government hostility, but long-simmering ethnic tensions, which have frequently triggered violence, have intensified under his watch. It was reported in October that nearly a million people had been displaced as a result of ethnic violence over the previous six months. The source of a great deal of the unrest appears to be long-standing territorial disputes that have their roots in the ethnic federalism enshrined in the constitution. The authoritarian Ethiopian People's Revolutionary Democratic Front (EPRDF), the ruling coalition made up of several ethno-nationalist parties, carved up the country into semi-autonomous federal units based on ethnicity in the early 90s after ousting the ruinous Derg Marxist junta, synonymous with brutality and famine, which had been in power since the overthrow of Emperor Haile Selassie in the mid-70s. But the constitutional framework implemented by the EPRDF was flawed because its nine federal units were by no means mono-ethnic and all groups were granted the right to secede (recently several have demanded plebiscites on self-rule). This constitutional anomaly around the degree of permissible self-determination has yet to be tested. At the same time, the Tigrayan minority that had played a leading role in the overthrow of the Derg, exerted disproportion influence in the new coalition government with others, principally the Oromo and Amhara, feeling under-represented. 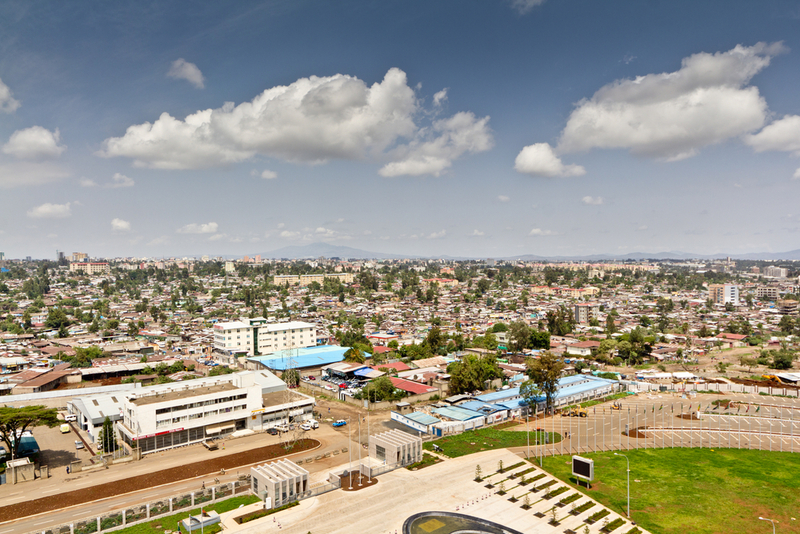 Their sense of marginalisation burst into the open in 2015 when plans for the expansion of Addis Ababa into land belonging to the Oromo people, the largest community in the Ethiopia, sparked bloody protests. They spread across the country, morphing into an uprising, with the authorities forced to declare a state of emergency. A central theme of Abiy's reform programme has been the freeing up of political space which, while welcomed domestically and internationally, seems to have inadvertently allowed the simmering ethnic grievances over land and borders to come to the fore. Columbia University professor Mahmood Mamdani, writing in The New York Times last month, said that Abiy's reforms have "led to greater ethnic mobilisation for justice and equality". Ethnic clashes are said to have escalated under Abiy, the security forces allegedly exacerbating the problem by pressing some of the displaced to return to their homes and in other cases not stepping in to stop the violence. The army itself may also prove to be a source of instability. Abiy is keen to reform it, and has been stamping out corruption and human rights abuses within the ranks. Dozens of security and intelligence officials as well as business people were arrested late last year. It is unclear whether the move was a purge of a previously untouchable institution or a bid to weaken Tigrayan control. Whatever the reason, the government's suspicion of the military was underlined when the attorney-general said evidence indicated that the senior leadership of the national security agency was implicated in a failed assassination attempt against Abiy in June. Abiy is from the Oromo group but he transcends the ethnic rivalries that currently afflict the country and threaten its economic prospects. For all the reforms that he has introduced and his diplomatic coups, failure to stem the instability could drive away investors, at a time when overseas investment is seen as critical to sustaining growth. While the premier has proved to be extremely popular, he is struggling to address the divisions among his people. With the shortcomings of ethno-federalism now plain to see, Abiy must work harder to resolve the disputes that are increasingly being aired without resorting to heavy-handed tactics; press ahead with democratic elections and institutions; and in time reframe the constitution to limit the importance of ethnic rights. He must do so with the same commitment and verve that has characterised his first year in office. Otherwise, Ethiopia's loss may be more than economic. Yigal Chazan is Head of Content at Alaco, a London-based business intelligence consultancy.